DomiNations 2.5.116 APK is now available for Android. This is one of the new game from NEXON in strategy game which is waited by many users. 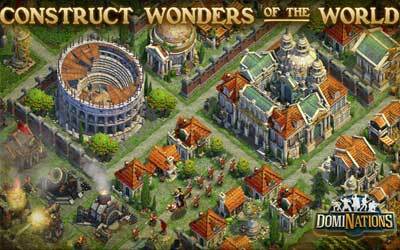 After attending in New Zealand through the soft-launch, now the developer officially launched a new mobile game called dominations to the rest of the world. Through Nexon Mobile, the game is now available in the App Store and Google Play. I think this app game is awesome, the graphic and strategy game looks real. For the maniac strategy game, you should try this app.